Nations Press feature "The Devil's Breath"-World's SCARIEST Drug,Can Wipe Memory and Even Kill- Pay Attention To This! "The Devil's Breath"-World's SCARIEST Drug,Can Wipe Memory and Even Kill- Pay Attention To This! SPONSORED LINKS This drug was given nicknamed as "The Devil's Breath",find out below why? and how it affects the people. 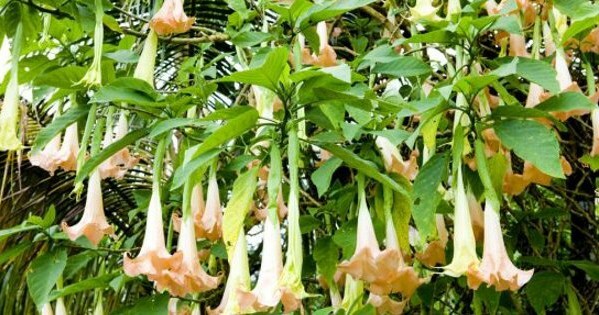 The drug’s real name is scopolamine, an anticholinergic drug derived from a number of trees native to South America. Hailed in a 2013 Vice documentary as ‘the world's scariest drug’ scopolamine is known to turn its user (or victim rather) into a docile zombie ready to do exactly what its perpetrator wants. Vice’s Ryan Duffy flew down to South America to interview those who deal the drug as well those who’ve fallen victim to it.